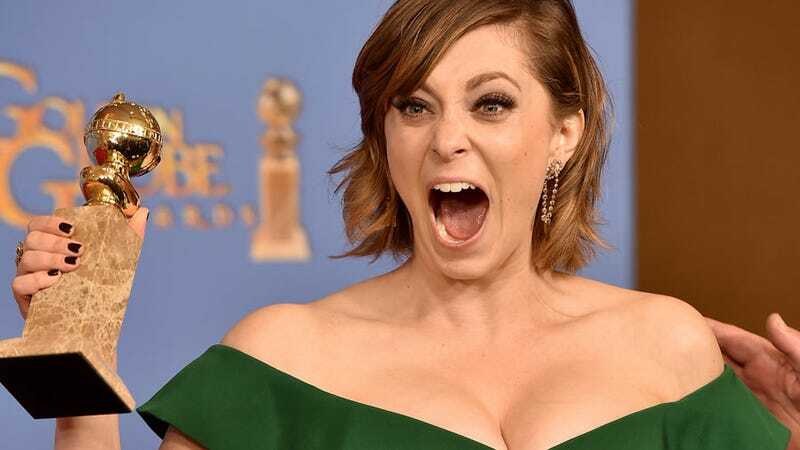 On this week’s podcast, we’re joined by my old friend Rachel Bloom, who tells us what it’s like to star in a TV show and win a friggin’ Golden Globe. Bloom writes, produces, and stars in Crazy Ex-Girlfriend, one of the funniest shows on television. (Seriously.) Today on Kotaku Splitscreen, she talks about how she pulled it off. We also discuss what it’s like to navigate the shifty waters of Hollywood, how she got a musical comedy on television, and whether it’s more difficult to run a TV show or play Rollercoaster Tycoon. You can listen directly to this week’s episode on Simplecast right here. If you like the show, come subscribe to us (and leave a review!) on iTunes. If you don’t like Apple, you can subscribe to the RSS feed right here.